Downtown’s East Village neighborhood is home to 130 blocks of restaurants, bars, boutiques, hotels, the city’s main library, a baseball stadium, and countless other notable sights. With so much packed into one of the most urban parts of town, it can be tough to choose. Let us help you find a few things to do, see, eat, and drink to get started. What could compare to staking out your own territory in the shadow of the park. Open up a folding chair (and maybe an umbrella, too), crack a beverage, and bask in the spoils of San Diego weather before catching a Padres baseball game. If you’re looking to get active before or after a ballgame, Tavern+Bowl East Village near the ballpark offers will quench all your thirsts with a full-bar and restaurant adjacent to its bowling lanes. With lanes open until 2:00 AM, Tavern+Bowl is a favorite nightlife hangout for locals and visitors alike. The brother-sister duo who own this boutique honed their style sensibilities in the local surf and skate scenes. Though they started as a designer toy and candy store, they found their niche selling clothing from upstart designers who happened to be their friends. The local slant of their streetwear, accessories, and dog clothing is no accident. The San Diego-centrism is by design. San Diego is not known for weather conducive to tucking into a steaming bowl of soup. That never stopped Tajima, a chain with five San Diego-area ramen restaurants, from attracting a devoted following since opening in 2001. The minds behind Tajima’s ramen take into account the size, texture, and springiness of their noodles, and the formula of various flours used to make them. Even their vegan iterations are excellent. This East Village distillery has already made a name for itself in San Diego’s craft cocktail scene. 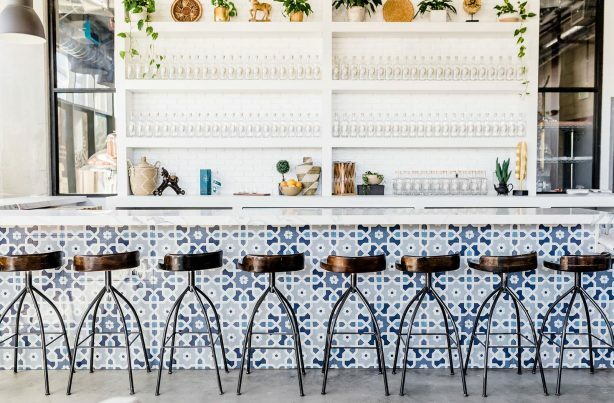 Owner Laura Johnson has created a bright, Instagram-friendly space and a cocktail menu focused on gin and vodka. Want to see what the hype is all about? The tasting room is open Wednesday through Sunday. An early 1900s two-story house with expansive twin porches make up the enchanting digs of this Irish pub-inspired craft brewery. The suds largely stick to the Emerald Isle-theme, while the menu departs deliciously with items like fried goat cheese balls, pretzel bites, and ahi tuna tacos. Art and architecture buffs—not to mention book lovers of every kind—will gravitate toward the city’s $185 million main library, which opened in 2013. Kids can have their druthers in the 9,000-square-foot children’s room. There’s plenty more to do here than read, though: Peruse rotating art exhibitions, revel in the library’s concert series, or relax in the three-story domed reading room. Baseball nuts can go, um, nuts at the Baseball Research Center, a unique collection of 6,000 baseball books and DVDs open to the public. This entry was posted in Downtown, Neighborhoods and tagged downtown, entertainment by San Diego Magazine. Bookmark the permalink.